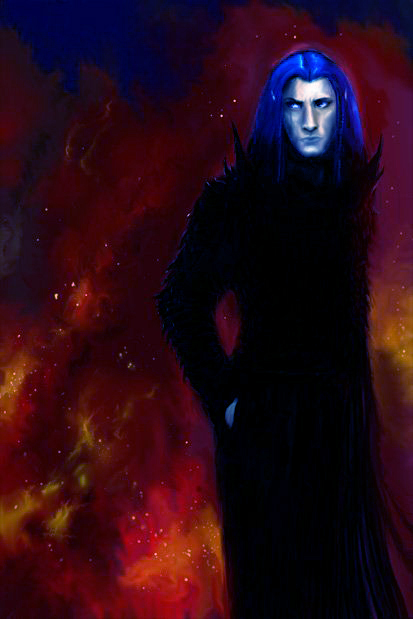 Arek Verikian was a powerful Indago Mage. His time spent in Tralisia had profound influence on local events. In addition, his knowledge of the Arcane rivaled many other Mages who came from the Academy. Below is a collection of his writings. You open the book to the table of contents and see the following writing in an intricate script. Believe nothing in this book. Or, conversely, believe it all. It matters little to me as I have discounted much of what my elders have written down and do not blame others for doing the same to my work. However, for those with the insight to seek these words out I offer a glimpse into my mind. I may be young but I have devoted my life to the study and manipulation of essence. I did not learn these things in a school for you cannot learn anything of value in a school. I ask you: If everyone knows a fact, then what value does that fact have? I would answer very little. So, take this book and learn what you can but do not worship it. You must strike out on your own and blaze your own path towards truth. I have assembled various writings and letters and snippets of conversation that, I believe, does my theories justice. Perhaps in the future I will write more extensively but my own ongoing research permits me from spending the time necessary on such a task. Essence is far more simple and far more complex than the current understanding assumes. I do not pretend to comprehend its intricacies. And if I die before I do then I will leave further learning to future generations. Essence. All users of arcane knowledge live and die by this simple thing. But, of course, it is never quite so simple as we would like it to be. It is a ghostly thing. Here one moment and gone the next. Living creatures, upon death, almost certainly rejoin its great flow. But what us that are not dead? Are we merely slaves doomed to eke out small amounts of essence from our crude flesh? Or can we rise to play a greater part? I propose that we can. I believe that all physical matter is impure. It is merely a shadow. We can measure an objects purity by observing how much of that object is essence and how much is simply matter. A rock, for example, is almost totally devoid of essence. On the other hand a gem has some essence that can be manipulation. A small animal has still more while more advanced beings have more and more essence. If it is possible to inject essence into an object while removing the impurities of matter simultaneously it would lead, in the end, to an object of greater essence… of greater purity. Perhaps, somewhere, there is a rock comprised completely of essence and that rock is the True Rock while all others are merely impure shadows of that True Rock’s nature. But I suppose that this is for another discussion. Jeremis has told me of creatures called Essenites. Apparently they are quite powerful and comprised almost purely of essence. This, he says, is due to essence over-exposure. Perhaps these creatures were imbued with great amounts of essence without removing the impurities of the flesh. This would explain why they are violent and don’t seem to wish to create a meaningful existence. Or perhaps mixing too much essence with too much impure material leads to volatility in objects and insanity in living beings. At any rate, I would like to find a book on the subject. For my part, I have done little actual experimentation. I have attempted to infuse essence into stone and other seemingly inert materials but have met will little success. There is a great deal of research and practical knowledge to be gained before my theories progress any farther. But I do have some ideas that may be employed in the future. For example, perhaps we could infuse the city walls with essence and strengthen them against the city’s enemies, both magical and mundane alike? But, eventually, and this is the work that I dedicate my life to, I intend to shed off this mortal flesh in the same way a snake does its old skin and become something else, something better. Imagine a vessel of pure essence to carry one’s soul. Or more accurately, the merging of perfect soul with perfect body. One would have perfection in all things. Perfection in thought. Perfection in action. Perfection in power. To be one with the flow of essence before one’s own death. It is truly something to strive for. Purity is the ratio of essence to flesh or matter. An Indago is one of the purest beings in existence but still is more flesh than essence. Flesh cannot be trusted. The senses of the spirit can provide an accurate picture of the world but never the senses of the flesh. The eyes, for example, can never be trusted without the aid of an arcane spell and even then the flesh may poison the truth. Nearly all beings have seen an act that they, at first glance, thought to be evil but upon further inspection realized was good. And vice versa. The pleasures of the flesh often blind us from the truth and lead us down paths of self-destruction. Pain causes us to relent while our spirits still wish to charge onward. These are all examples of impurity. Perhaps the only time a mortal being reaches the ecstasy of perfection is during the moment of brilliant understanding that occurs after many hours of study. That feeling of clarity is, perhaps, as close as a mortal can get to the perfection that a being comprised of pure essence must feel at all times. Of course, if one wishes to become pure essence they only need to throw themselves off a cliff. However, I doubt most users of the arcane wish to die in order to increase their understanding of metaphysics! Our bodies are simply vessels for our souls. However, it is not like water in a jug with body and soul apart. It is like water in a sponge with body and soul intermingled. Despite the dismal conclusion of the impurity of all things we must remember that essence is the source of all things. We must always strive to find the pure. The purest gems make the strongest essence shards. The purest metal makes the strongest armor. The purest predators make the most worthy opponents. The purest leaders have the strongest wills. Earlier I spoke of purity. Are we all destined to be nothing more than flesh and blood with a small spark of essence binding it all together? Are we destined to see nothing more then we can see with our eyes? Are we destined to trip and blunder our way through a petty existence until death strikes randomly? I say no. I say we must rage against this prison of mediocrity with call mortality. But how can this be possible? I confess that I do not know. So, for now, I will describe the Perfect Self. If a person, in his own lifetime, was able to remove the impurities of flesh and replace it with pure essence he would become his Perfect Self. Mind, body, and spirit would be One. And that One would be comprised of pure essence. The Perfect Self would not need air, there would be no lungs. It would not need blood to feed its flesh, there would be no flesh. It would not struggle between heart and mind or mind and soul for they would be One and in perfect harmony. Every thought would be perfect. All knowledge would be precise. Every action would be virtually instantaneous. All would be perfect. Time would no longer stalk a person who had achieved perfection. Instead it would be his servant. Time would belong to him, it would be his final advantage. Death would become a myth, a legend, something forgotten and unknown. The Perfect Self, if possible, is the ultimate prize. It would be more valuable than the accumulated wealth of entire civilizations. The search for it is the greatest adventure a mortal can undertake. Even failing this quest would be far beyond most mortal’s greatest successes. Even a partial success would surely lead to gifts beyond all imagination. First, it must be made possible to transmute common rock into a purer form. Perhaps a common crystal used for shard construction can be infused with essence and turned into a rarer, more powerful crystal. Even this small step eludes me at the moment. The next step actually results in a practical application. This step involves transmuting a larger object into something purer. For my part, I think that the city walls would be an outstanding candidate. As of now they are simple stone. If they could be changed to a more magical stone then they could be infused with magic and glyphs of warding. They would turn into a very, very powerful barrier against the enemies of the city. Even the evil that resides in the Silent Wood would be a slave to walls such as this. Third, a living subject must be transfigured. I would start with a small mammal, perhaps a dog. I would suggest something that could be tamed but not something that is inherently dangerous or the experiment may prove fatal to the experimentor. Though I suppose that would simply rid the world of one more idiot which is never a bad thing. A successful experiment would result in an animal of vastly increased strength, intelligence, and magical resistance. An unsuccessful experiment will lead to, most likely, a puddle of warm goo. Lastly, a sentient subject. A partial success will result in abilities far beyond a mortal. If one ever reaches this stage a major test of character occurs. Does the mage risk death and test his theories on himself? Or does he test it on another. If he fails and his test subject dies than that mage loses nothing. If that test succeeds than will his assistant kill the mage in order to guard his uniqueness? It is a quandary. These are the major steps than must be taken in order for a mage to be able to increase purity in himself or anyone else. I am sure that many smaller steps may crop up and be a further source of confusion and problems. But I have no doubt that much of what I have written is possible. I intend to attempt the first two steps within my youth and as soon as possible. I believe dealing with inanimate objects will prove much easier than dealing with the living. But, isn’t that true in almost every facet of life? Hazul, I do not believe that you are doing yourself a service by spending all your free time inside the confines of the Magic Emporium sending younger mages on far-fetched quests for ingredients for your spells. I have no doubt that your intentions are pure but you are not so old that you can’t strike out on your own exploration of the world. Have you decided that you can learn nothing else from life? Do you think you have reached your true potential? I have written extensively about our True Potential. Neither one of us are close to reaching that potential but there is a difference between us. I retain the spirit of the search. I continue to better myself each and every day while you stagnate. You must not do this. You must continue to fight against old age and routine. It is a flaw within the various Magic Academies that teaches that the sedentary life is a useful one. Even Erius would admit that many mages seem content with being nothing more than hermits. The both of us should poor over your research and your books and find an area of information untouched by either yourself or others. Then we both can devote our energies to solving that mystery together. At any rate, I would wish to borrow some books from your collection. Erius keeps his guarded from the prying eyes of others and I do not blame him. I hope to have access to his collection soon, as they will undoubtly further my research. But, of course, no one gives up their secrets too easily. I very much hope that you hold onto yours with less of a grip than Erius does. I believe that we can help each other gain new insights into the nature of essence. Again, the sedentary life leads to nothing. I tell you this now just as I would tell anyone. It is true that this city is exciting but the world outside its walls is even more exciting. I hope that glimpse into my life and mind has shed some light on the nature of essence. Essence is the beginning and the end. The meaning of all things is tied to the mysteries of essence. No knowledge can exist without knowledge of essence. The individual with no ability to channel essence is nothing more than a blind man doomed to a meaningless existence. Only the learned person can ever hope to be happy and content. If this seems harsh that you’d do well to remember that life is harsh and some things must be accepted even when one wishes that they were not so. We mortals have only begun to scratch the surface of our knowledge of essence. I believe that we are on the cusp of a golden age where those strong in essence will build civilizations far more advanced than those found today. Magical knowledge is set to increase tenfold and change the entire world. We are surely at the beginning of an age of splendors that the world has not yet even imagined. The old times are done, completed, and over. It is now time for the strong and wise to blaze a new path in a new direction. And the key to all of this is essence manipulation. *Arek Verikian was an actual player of ATS. The writings after the introduction are of his own words.